Dubai: Some flyers leaving Abu Dhabi International airport are also going through tighter screenings, as new rules have recently been put in place for taking powders in hand luggages. Emirates had earlier announced that it is tightening screenings of hand luggages, particular powdered products. 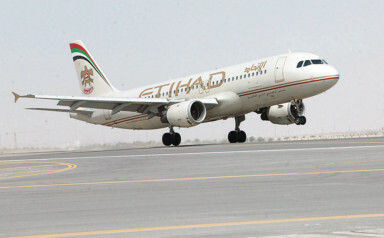 According to its announcement, Etihad said powders that exceed 350 ml, 250 grams or 12 ounces are banned from the cabins in flights bound to the US. Any item exceeding the limit may be placed in checked baggage. For Australia-bound passengers, restrictions on carrying “inorganic” powders inside the aircraft cabin are also in effect. Substances of 350 ml, 350 grams or 12 ounces must be placed in checked baggage. Examples of restricted items include salt, sand, talcum powders, powdered deodorants, food powders, detergent powders and cleaning products. However, certain products are exempted from the ban, and these include all organic powders, such as powdered baby formula, powdered food, coffee, protein powder, flour, spices, sugar, most cosmetics, Epsom salts, prescription and non-prescription medicines (including special dietary products). Medical items required during the flight are likewise exempted, provided the passenger can show a supporting evidence, such as a valid letter from a doctor. The exemption also extends to cremated human remains and items placed in duty free security tamper evident bags.